Posted on August 2, 2017 at 3:23 am. The Philippines National Police (PNP) chief has vowed to stamp out illegal gambling in just 15 days. 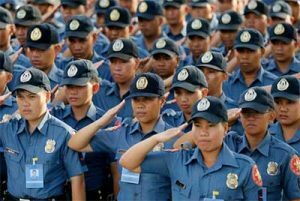 The PNP chief, Ronald dela Rosa, has chosen to motivate the police force by threatening to relieve jobs if they don’t start cracking down on illegal gambling. According to the Malaya Business Insider, Mr dela Rosa he “will start relieving commanders” if the PNP doesn’t step up its efforts in the war against illicit wagering. The ambitious 15-day time limit corresponds with President Rodrigo Duterte’s ongoing efforts to curb illegal gambling in the country. But the prompt action is likely a result of the Philippine Charity Sweepstakes Office (PCSO) threatening to cut PNP funding. PCSO general manager, Alexander Balutan, made the announcement late last month and added that the PNP’s efforts have been disappointing and unsuccessful. In October 2016, the PCSO signed a deal with the PNP to clamp down on “jueteng” – an illegal numbers games prominent in the country – since it has reportedly stolen competition from Small Town Lottery (STL). Under the agreement, PCSO agreed to allocate 2.5 percent of its STL earnings to the PNP. For the six months until June this year, the PNP received P154 million from PCSO. But Mr Balutan has threatened to halve the funding if the gambling issues continue. Mr Balutan also added that the PNP funding would be reallocated to the National Bureau of Investigation (NBI). According to the PCSO general manager, the NBI has shown a willingness to target illegal jueteng operators. Despite Mr Del Rosa insisting the PNP could do without the funding, his 15-day action plan says otherwise. “Well, we accept the fact that we are a failure when it comes to illegal gambling,” Mr Dela Rosa has previously admitted. But Mr Del Rosa did explain the tenuous nature behind stamping out unlawful gambling operations considering many illegal bookmakers double as legal STL agents. “Our men have been continuously making arrests and operating against illegal gambling, particularly where legal STL owners complain that they are unable to meet their quota because of rampant illegal gambling,” Mr Del Rosa said. In February, President Duterte signed an executive order directing the PNP to crack down on illegal gambling syndicates and operators. But Retired Archbishop Oscar Cruz believes the Duterte administration has not fulfilled the promises of its campaign. Archbishop Cruz said that there are dozens of other kinds of prohibited gambling activities, besides jueteng, taking place in the Philippines.